If you’ve ever expressed rage via your Twitter account — we’re talking to you, Kanye, Donald, and, if we can extrapolate to other social media mediums, the manic Dance Mom fans of Instagram — you might want to make an appointment with a cardiologist, stat. More angry and anxiety-laden tweets, the study found, ended up corresponding with more cases of heart disease; happy, laid-back tweets were composed by those with less instances of heart disease. 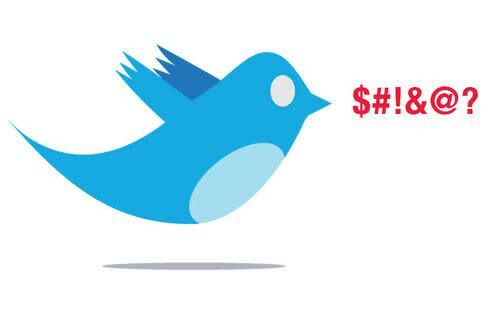 “It’s a pretty aggressive action to be cursing, to dropping the f-bomb on Twitter,” lead researcher Johannes Eichstaedt tells the Washington Post, echoing the sentiments of people everywhere who are subjected to their feed being overcome by those live-tweeting The Bachelor on Monday nights. Eichstaedt clarifies, however, that it isn’t the tweeters themselves who are most likely at the greatest risk for a coronary event, as the age of the average Twitter user skews much younger than those most likely to suffer from heart disease. The tweets instead represent, essentially, the epidemiology of a feeling — such as anger — impacting a given geographic community. Just like how Twitter has previously been used to track the spread of the flu by identifying where conversations are happening about flu-like symptoms, the social media medium can also be used to identify hostile communities whose emotions put them at greater risk for a heart attack. So reader be warned: Walk away from the angry guy in front of you in line at Starbucks — his bitterness is contagious. And to be on the safe side, just avoid the Internet altogether during marathon programming blocks of any reality program.